Built in cutting board on the lid of every FishBox model. If you have ever gone camping for multiple days with a relatively large group of people you know what a challenge it can be to fit all the necessary food into a regular sized ice chest. There have been some heavy duty large ice chests from companies like Grizzly and Yeti, but the really big options cost around $1000. Recently a company called SmakPlastics who specializes is making containers for commercial fishermen and other food services created the 285 quart ice chest that retails for half the price of other coolers in this size and quality class. We have spent a few weeks testing the FishBox and it is truly impressive. There are currently two versions of the FishBox, a flat-bottom version for regular use and a version with feet that was designed for boats. 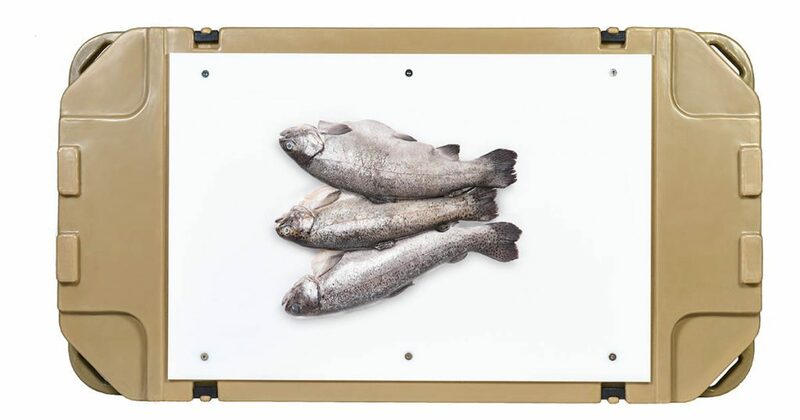 The FishBox cooler is rotomolded, heavy duty plastic that can take a beating. These coolers were designed to survive the rigors of commercial fishing vessels in the Pacific Northwest, so they should be able to handle years of heavy use. 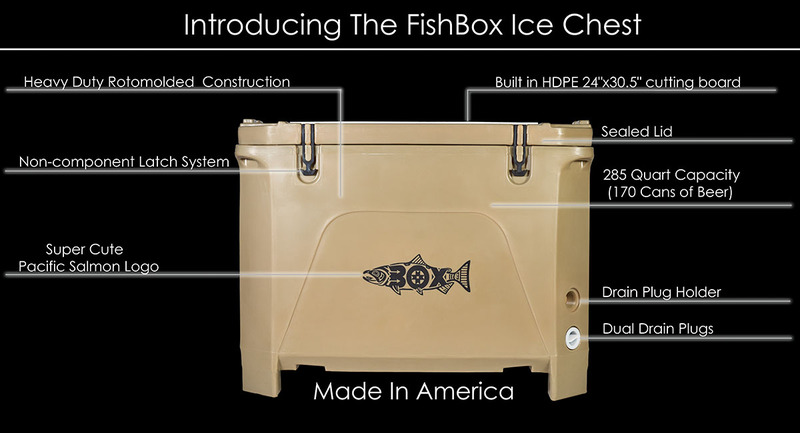 The thick walls and lid of the FishBox make it possible for the ice chest to keep ice from for 5 to 10 days depending on the outside temperature and the amount of times the lid is opened. The only downside to the large size and thick walls of the FishBox is the weight. When it is empty it weighs 97lbs and it can weigh up to 550lbs when it is full, so if you are going to fill it before you take it camping, it is best to just leave it in the back of your truck or SUV if possible. The upside to the weight is that once you have arrived at your destination, you won’t have to worry about having enough to eat or drink even on an extended trip. 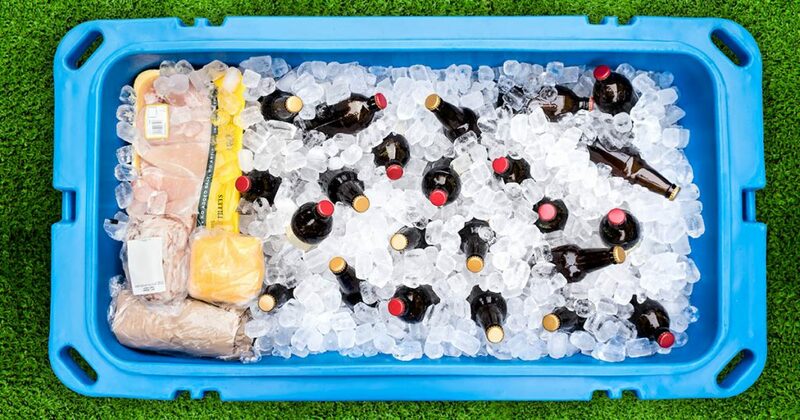 You can fit up 170 cans of beer or soda into this ice chest with 100lbs of ice, so it is perfect for large events as well as camping, hunting or fishing trips. The latches that hold down the lid are all rubber, so there is no part of this cooler that can rust, and the latches can be replaced if one gets lost or broken. One of the appealing options on this ice is the large cutting board built into the top of the lid. This is especially handy if you are using the FishBox on a boat. Another feature of this ice chest that we really liked is the 2 inch wide drains. It is never fun standing around waiting for an ice chest to drain, and the double drains on the FishBox allow it to drain really fast. Overall we were incredibly impressed with the FishBox Ice Chest especially considering it almost half the price of similar ice chests. This thing is durable, big and keeps a lot of food cold for a really long time. 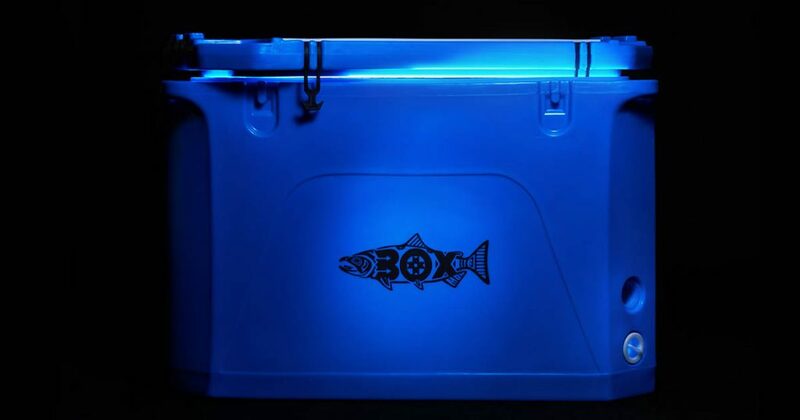 If you are looking for hot weather camping gear for an upcoming outdoor excursion in a warm climate, FishBox Ice Chest could be exactly what you need. The only downside is the weight, but that is an expected trade off for an ice chest this big.